Click the button to download ASCII Animator 2.0. ASCII Animator requires .NET framework 2.0 or later versions to run. The ASCII art animation will be saved as HTML format. It can be played on web browsers such as Internet Explorer, Google Chrome or Mozilla Firefox etc. 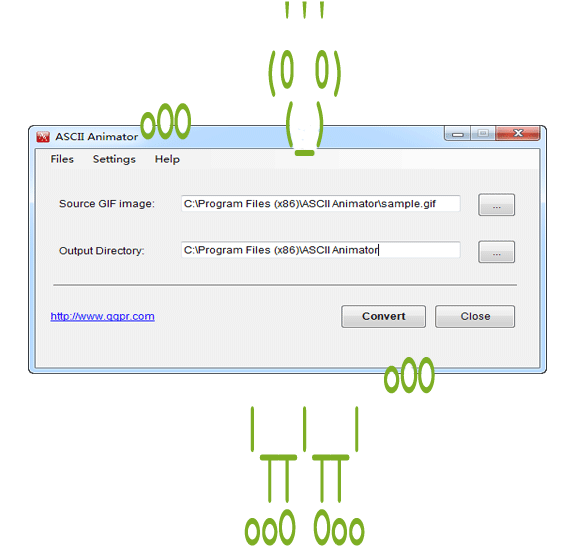 The ASCII art animation will be saved as animated GIF image. 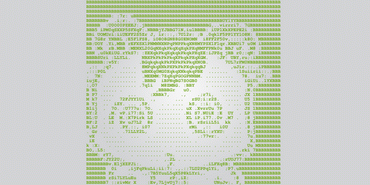 The background is white and the ASCII characters are displayed in black. It can be played by any image viewer software. It's the same to ASCII art animation except it's coloured. ASCII characters are displayed in the colour that the original image uses. It can be played by any image viewer software. Some animated ASCII art samples created by ASCII Animator are listed below. Click on an image to watch it. 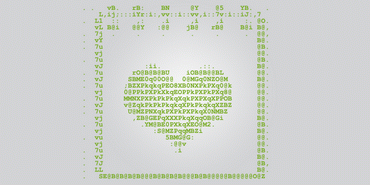 Animated ASCII art - I love you. 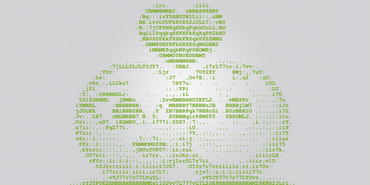 Animated ASCII art - heart and smileys. Animated ASCII art - three dancing cats. 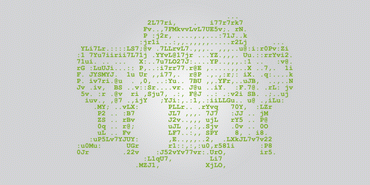 Animated ASCII art - a hypnotic goat. 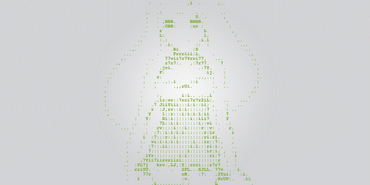 Animated ASCII art - a pretty girl. 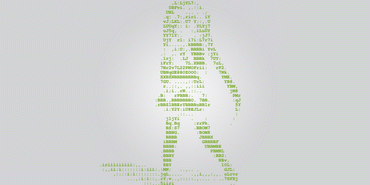 Animated ASCII art - sing and dance. ASCII art is a graphic design technique that uses computers for presentation and consists of pictures pieced together from the printable characters defined by the ASCII Standard. Aconvert.com - converts document, ebook, image, icon, video, audio and archive files online.